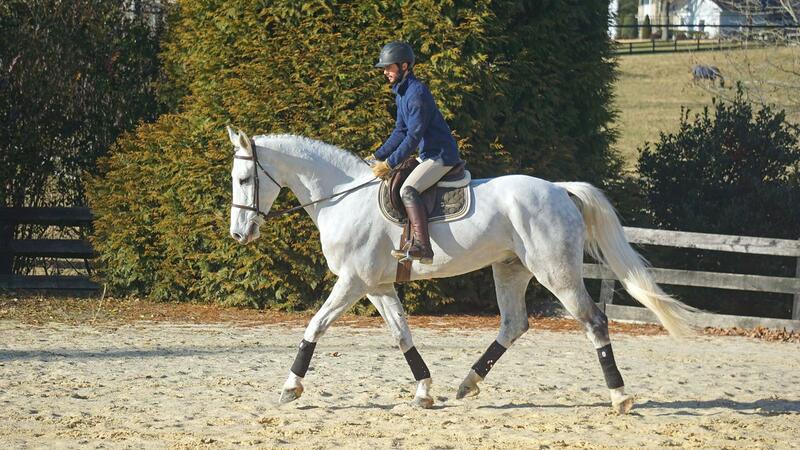 Lucius is a imported 17.2hh, 8 year old Belgium warmblood. Truly a gentle giant with a big heart. Though big he is light in hands and light off the leg. 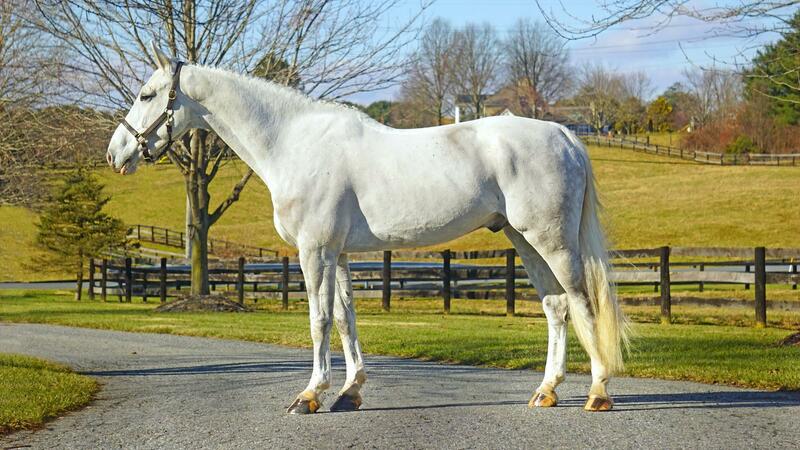 This horse is a favorite in the barn with his goofy and lovable personality. 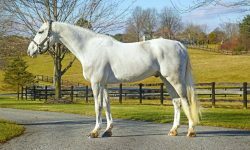 In Europe he did the 1.25 with an amateur guy but when he arrived we quickly learned he needed to learn how to use his big body better. We took a step back with him and he is learning so much. On the flat he is working Travers, Renvers and Half pass with much success. Lucius is always a joy to work with and he always has his thinking cap on. 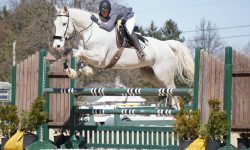 He is the most honest jumper you will ever sit on, never stopping or taking offense to a missed distance or a rail down. Safe, willing and fun! He always takes a joke and always jumps even if the rider gets him in wrong, though these are all traits that amateurs, Juniors and parents of Juniors dream of but it does mean that he isn’t the most careful jumper in to world but he always gets his rider to the other side safely with no funny business. Lucius prefers a mount with a stable seat and leg, he is not a push ride but is not overly forward. 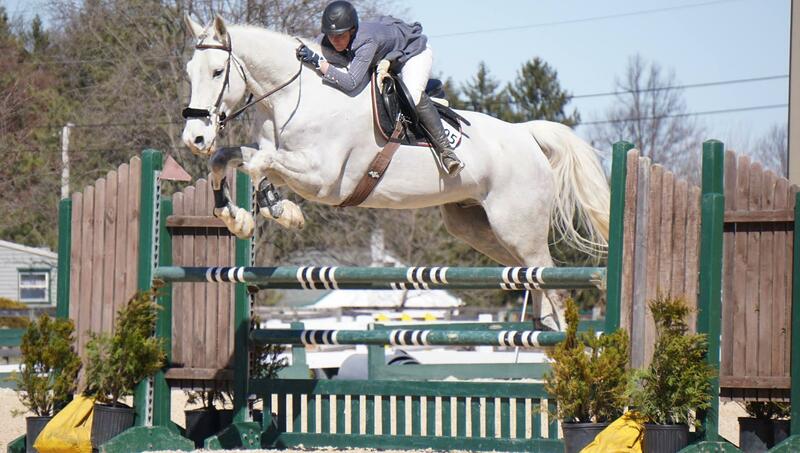 His ideal rider is someone that wants a safe mount to bring though the levels. At this point in his training he is a fairly straight forward ride, he stays between your reins wonderfully and this big horses can turn like the best of the little ones! 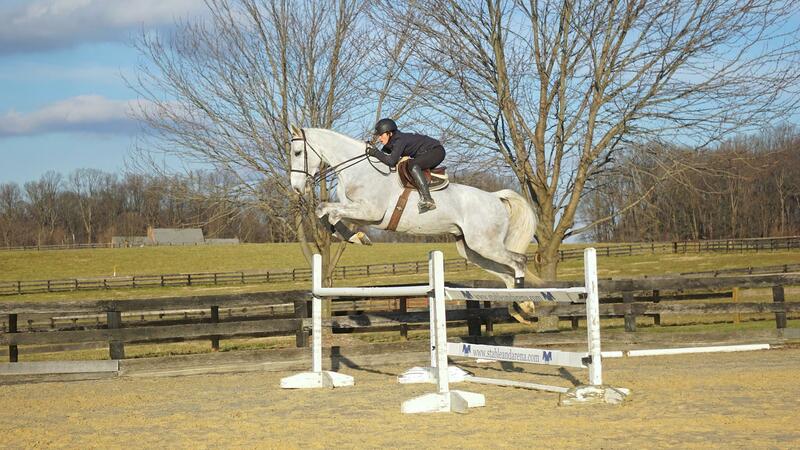 He would be a great Jumper/ Eq Horse for a rider, he has the big stride that is easy in lines. He has the perfect amount of adjustability and forward to get to the fence. 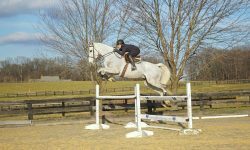 Lucius recently started jumping in a hackamore and is doing very well, he does ride and jump in just about anything so don’t that that scare you. He is not strong or difficult in anyway.